Facebook’s CEO and co-founder Mark Zuckerberg plans to unify the infrastructure of all three of Facebook’s messaging services — WhatsApp, Instagram, and Facebook Messenger. All three services will continue operating as stand-alone apps, but they will operate from the same underlying messaging infrastructure. As reported by the NYTimes, Zuckerberg is asserting his control over the company’s sprawling divisions in order to reconfigure how WhatsApp, Instagram, and Facebook Messenger function at their most basic level. Zuckerberg has also ordered all the apps to incorporate end-to-end encryption, which will be a significant step forward for user privacy as currently, only WhatsApp encrypts its messages by default. By stitching the infrastructure together, Facebook can increase the utility of the social network by keeping users highly engaged within its ecosystem, giving them fewer reasons to turn to rival services. The company would also be able to build up its advertising business or add new services. After the changes take effect, a Facebook user could send an encrypted message to someone who only has a WhatsApp account, for example. This isn’t currently possible because the apps behave as separate entities, as Zuckerberg had promised Instagram and WhatsApp autonomy from its parent company. WhatsApp and Instagram’s growth has prompted a change in Zuckerberg’s thinking, as he now believes that the tighter integration would reap benefits for the entire family of Facebook apps. Facebook is still in the early stages of the work and plans to complete it by early 2020. 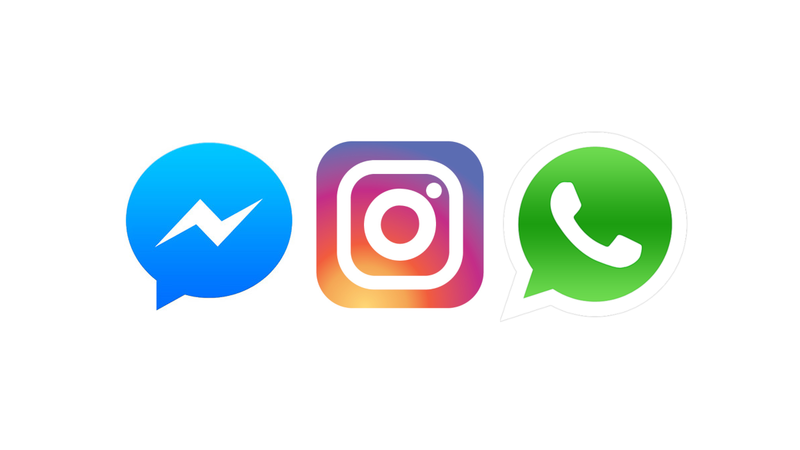 Few websites have spun the news into how Facebook is merging WhatsApp, Instagram, and Facebook Messenger — which isn’t entirely true. As of right now, the plan is to let the apps co-exist as standalone apps. However, since the infrastructure would be unified, it raises concerns over the privacy of users and how information would be shared between these apps. Users who prefer to keep their use of these apps compartmentalized would have a more difficult time with these changes. Concerned over their loss of independence, several WhatsApp employees have left or plan to leave because of these unification plans. What are your thoughts on these unification plans? Let us know in the comments below!